Online lending continues to make a big impact on small business growth. A recent study conducted by NDP Analytics found that every $1 borrowed by small businesses produces $3.79 of gross output in local communities. It sums up to nearly $40 billion in economic growth across the United States, generating close to 400,000 new jobs and $13 billion in wages throughout local economies. The study references companies like Kabbage, which has provided access to more than $5 billion for over 150,000 small businesses. Online lending simplifies the traditional lending process. 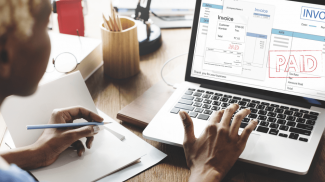 With Kabbage, small businesses connect live data to the platform and can quickly qualify for a line of credit, which go as high as $250,000 and continually adjust to match the performance and seasonality of the business. Growth, however, is not the product of idleness. Dollars only produce more dollars when they’re appropriately put to work. So, what are these businesses investing in with these funds? Here are five ways small businesses use the extra capital accessed by online lending to generate revenue. Whether they’re hiring their first employee or bringing on additional members to meet business demand, these small business owners are investing in great talent. In an SBA survey, 42 percent of small business owners ranked hiring as their biggest obstacle. A bad hire and high employee turnover can cost a business potentially 30 percent of its annual earnings. A primary use case of funding from online lending companies is to hire. With the security of a line of credit, small business owners have access to the funds they need when finding, hiring and retaining the best talent for their businesses. In today’s atmosphere, it’s nearly impossible to compete without having the right marketing strategy. In fact, business owners regret not investing more in marketing every year they are in business, especially during the first four years when growth is critical, according to a Kabbage report. Today, businesses must be present in both offline and online media. 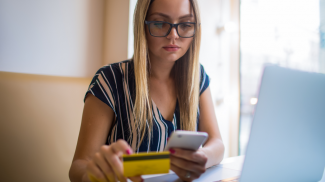 With extra funds, even lines of credit as high as $250,000, these business owners can invest in building an attractive website with a great user experience. They also can invest in the right tools to help boost their rankings in search engines and promote their businesses on social media, radio, TV, advertisements and more. Whether it’s building an internal team or outsourcing to contractors, small business owners take advantage of extra capital to take their marketing to the next level. The Fed Small Business conducted a Small Business Credit Survey and found that 59 percent of small businesses apply for funds to expand their business and take on new opportunities. From selling new products or services to opening a second physical location, these businesses can invest in growth. Expansion is a good sign for small business success, but unfortunately, it can come with a high price tag. New locations mean new equipment, supplies, furniture, décor, marketing and more. Offering new products or services means purchasing additional inventory or bringing on new hires to expand services. And new hires mean more people on payroll. This all can add up quickly and hurt your cash flow if you aren’t prepared. With hassle-free access to working capital, businesses can cover these expenses while meeting their expansion goals sooner than they imagined. Broken equipment must be repaired right away. Seasonal businesses need help during their lulls. Payroll needs to be met when bringing on new staff. No matter the need or the industry, all businesses must address critical needs to keep their business up and running. In fact, 40 percent of businesses struggled with paying operating expenses in 2017, and 67 percent used personal funds to address their challenges, according to the Small Business Credit Survey. 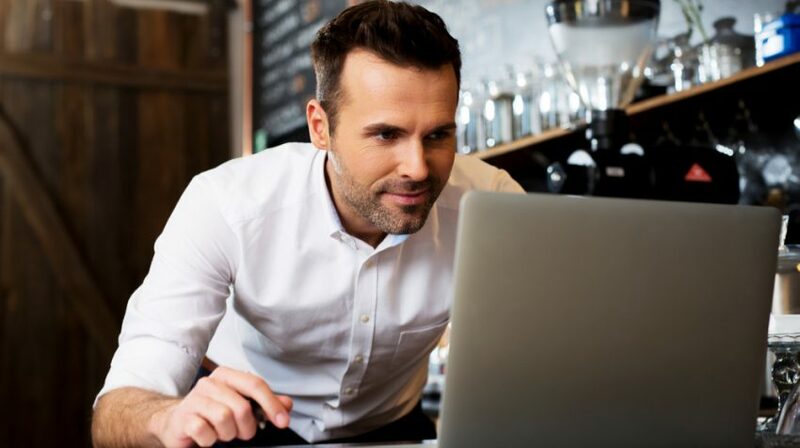 With extra capital, small business owners are able to cover operational expenses and weather unexpected problems without dipping into their personal savings, leaning on credit cards or asking friends and family for funds. Having the resources in their back pocket, or even on their phones, gives them security and peace of mind. Business is rooted in innovation and the right timing, supplying a unique product or service that customers love. Simplifying access to capital via online lending gives businesses the confidence and ability to act when presented with new opportunities. They can form new partnerships, take advantage of limited time offers on inventory, test new products or services, sponsor events and more. A line of credit can help business owners tap into the creative aspects of their business and try new strategies. For example, Kabbage restaurant customers have tried pop-ups and food trucks to help both their marketing and expansion efforts. Having secure, 24/7 access to funding can make the difference between staying stagnant and standing out from the competition in the marketplace. Small businesses are the cornerstone of the economy and are especially essential to local communities. However, they may not be able to receive funding from traditional lending institutions as quickly as they like or if they’re still young. Kabbage knows businesses are more than a credit score and old financial statements. That’s why we look at a variety of factors to see the overall health of the business and the character of the business owner. Applying is simple, and there is no obligation to take funds if qualified. With online lending on the upswing, the funding gap for small businesses is finally being filled, and according to the NDP Analytics report the U.S. economy is greatly benefiting in result. I have not tried using any of these online loan services before. I wonder how they differ from ordinary financing. I’ve been hearing a lot about Kabbage but haven’t really tried it out. I guess it takes some time for people to accept something like this. I think the reason people are wary of it because it is a form of financing that is done online. Good opportunity? Yes. But risky, don’t you think? Could you fund international businesses via Kabbage?